Happy Fall!! Sweets and Treats, No Tricks! It's super easy to make these do it yourself homemade sweet treats. 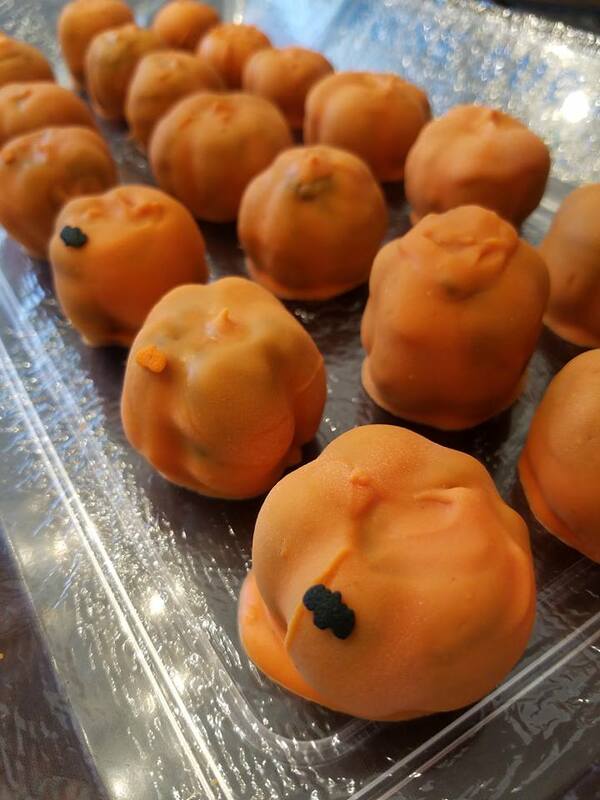 How cute are these mini pumpkin oreo truffles!? Tasty and super craft looking but oh so easy to pull together. Here are the quick steps and everything you will need to make these cute Oreo truffle chocolate dipped pumpkin treats. Blend the oreos to a fine consistency. 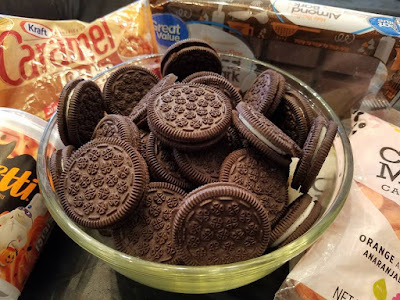 Add in the frosting or cream cheese little by little until you have a formidable consistancy to shape that's holds it shape.. not too much frosting! 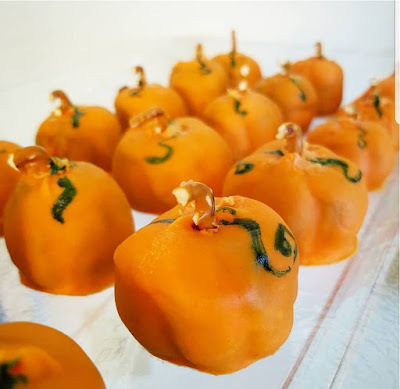 Shape into pumpkins and let chill in freezer. 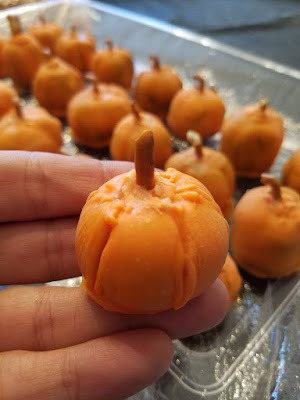 Add grooves to the shape if desired for pumpkin effect with a small toothpick or dowel. 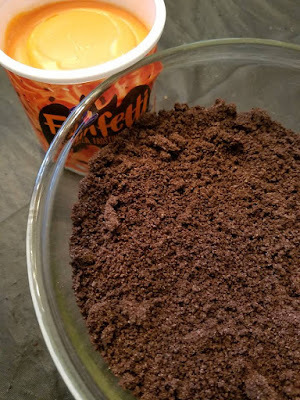 Melt chocolate while pumpkins are in freezer about 15 minutes... sometimes you may need some coconut oil to thin it out. Dip pumpkins into chocolate and as they cool, place the stem into place and let harden. Use an edible color pen or food dye to draw vines. Done. 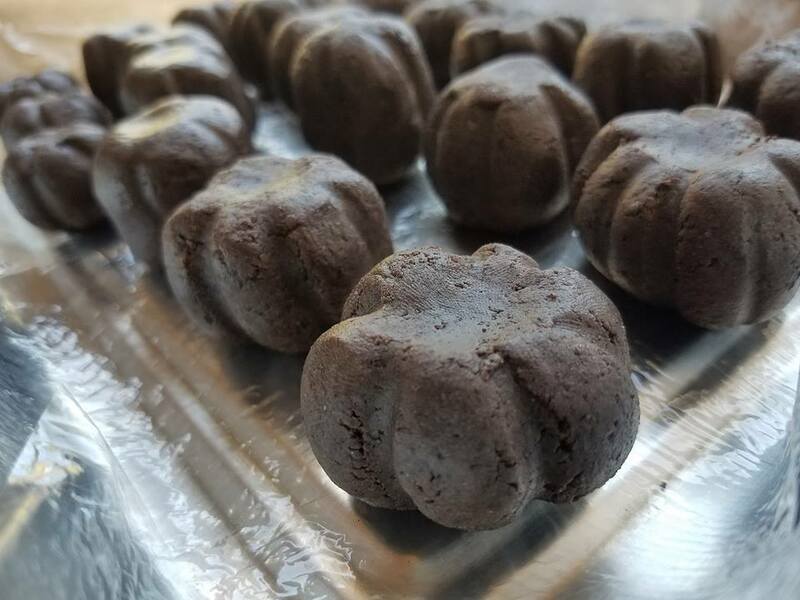 There you have them.... mini pumpkin oreo truffles ready for teacher gifts, neighbor surprises, pot luck dish or a snack for the family. I'll take two.... or 5! So easy and while you are in between steps you can craft, clean up, do things around the house or help with homework. 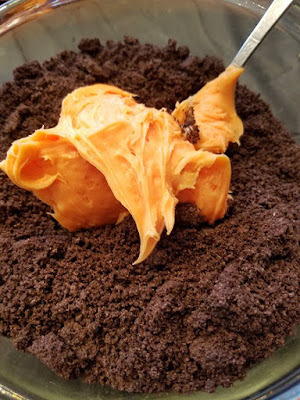 Try them... let me know what you think and what version you make... frosting or cream cheese! ?